We are completely spoilt for choice in Ireland when it comes to castles. And even on a wet day (or a soft day I should say!) Aughnanure Castle still casts a magical spell. Located just 30 minutes drive from Galway City, it made the ideal day trip for the long weekend. Readers of The Cross Of Santiago will know that this castle features prominently in my story of medieval Ireland, sheltering survivors from the Spanish Armada shipwreck on the West Coast of Ireland. 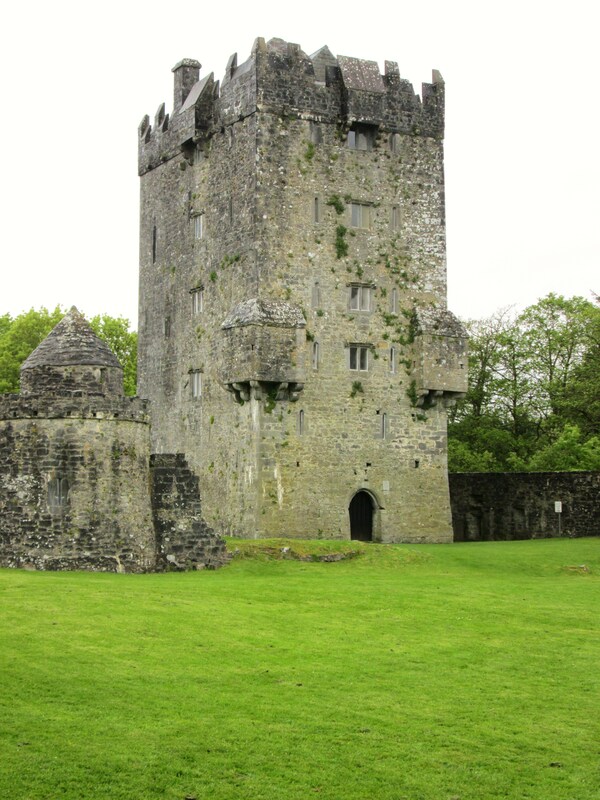 Strictly speaking, this is a tower house and is situated just outside the village of Oughterard, on the Drimneed River. Built in the 1500’s by the O’Flaherty clann, it was a fortress against all manner of invaders and even today, the Watchtower stands firmly on the lookout for unwanted visitors. It’s almost as if time has stood still in this place, and I can just imagine weary travellers making their way up this pathway to the entrance, past the yew trees and cattle grazing in the field nearby. 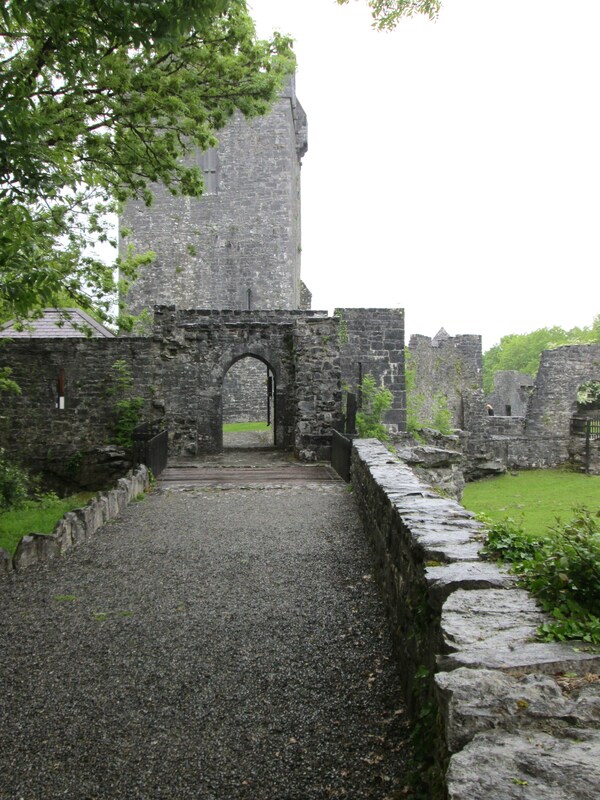 The outer walls have disintegrated somewhat, but it stills retains the atmosphere of a grand, stately tower house. Unfortunately, the edifice was hit by lightening recently and is currently closed to visitors, but hopefully it will re-open soon. Not to be deterred by the mist (i.e. RAIN), I also took a ramble along the shores of Lough (Lake) Corrib, getting a glimpse of the gateway to Connemara. With its majestic mountains and lush valleys, it’s easy to see why this region has been so popular down through the centuries. Quiet country lanes bordered with vibrant wild flowers, give way to dramatic mountain ranges, inhabited exclusively by some rather territorially-minded horned sheep! Wild and unspoiled, it’s the perfect landscape in which to lose yourself and imagine what life might have been like all those years ago. I’m already planning my next outing, come rain or shine! If you’re a fan of historical fiction, Ireland and good value books, The Cross Of Santiago is currently on sale for just 99p!